We’d love your help. Let us know what’s wrong with this preview of From Cairo to Christ by Abu Atallah. So writes Abu Atallah, who grew up in Cairo as an ordinary Egyptian Muslim. He was deeply "If I were to become a Christian, it would mean not only changing my religion but changing my whole identity and bringing shame upon my family. My whole family is Muslim, and my society and culture were Muslim. . . . Changing from Islam to Christianity would mess up my life forever." To ask other readers questions about From Cairo to Christ, please sign up. I am Kent Van Til, the author. Happy to see this ongoing dialogue about ministry among Muslims. Stephen has just returned from Europe, where he has been working with Syrian refugees. Are you finding it helpful? It was wonderful to read of Stephen’s salvation and heartbreaking to read about what he went through afterward. However, I cannot recommend this book. Replacement theology, I thought there might be some in this book, but I didn’t expect it to be taught in great depth. It’s heartbreaking. More scripture is misused in an attempt to strip Israel of its God-given Promises than were used to explain Salvation. From other little glimpses of his theology, I’m guessing that we would have serious differe It was wonderful to read of Stephen’s salvation and heartbreaking to read about what he went through afterward. However, I cannot recommend this book. Replacement theology, I thought there might be some in this book, but I didn’t expect it to be taught in great depth. It’s heartbreaking. More scripture is misused in an attempt to strip Israel of its God-given Promises than were used to explain Salvation. From other little glimpses of his theology, I’m guessing that we would have serious differences on other doctrinal issues as well. The vast majority of this book is an attempt to explain Islamic Culture to Westerners. There is very little contrast drawn between it and the Bible, and much of this book reads as any other introduction to Islamic Culture. It does an adequate job. The writing style isn’t that great, but it’s not terrible either. The author goes on to talk about other Muslim customs like a Mmulim boy being circumcized at the age of twelve. He talks about the tradition of marrying cousins. He talks about growing up as a Child of Privillege and it being surprising to everyone himself included when he became a Christian. In his final year of high school Stephen goes on to talk about joining The Muslim Brotherhood because his best friend had joined, thenrs he saw his friend go to the extreme of beating his wife. Stephen goes on to tell how becoming a Christian could cause a Muslim to loose their life not only figuratively but literally. Stephen goes on to talk about getting kicked out of his home, his family, for converting to Christianity. In 1989 Stephen was ordained as a minister and was sent to be a missionary among the muslims in Dearborn Michigan! The author goes on to tell us of the complicated history between Egypt and Israel. He goes on to tell us that a Muslim man is allowed to take a Christian or Jewish wife, that the tradition goes back to Mohammed, but a Muslim woman is not permitted to convert to Christianity. The author goes on to remind us that it is no longer possible for missionaries to go openly into Muslim countries, so some do Evangelism as Biovocational Missionaries. Despite all the difficulties, many Muslims are coming to Christ! But the transition often is not easy! So much to learn and ponder from Abu Atallah's story: it is a remarkable read. It is powerfully compelling to hear why someone raised as a Muslim Arab would walk away from his culture, career and beloved family in order to follow Jesus... it makes me want to know Jesus better to see him as Atallah does. This testimony is also very clear that there is interest in and movement towards Christ among Muslims like never before: something to pray for and rejoice over! However, Atallah is also sober abo So much to learn and ponder from Abu Atallah's story: it is a remarkable read. It is powerfully compelling to hear why someone raised as a Muslim Arab would walk away from his culture, career and beloved family in order to follow Jesus... it makes me want to know Jesus better to see him as Atallah does. This testimony is also very clear that there is interest in and movement towards Christ among Muslims like never before: something to pray for and rejoice over! However, Atallah is also sober about the damage the West does to our witness for Christ in its treatment of Arabs (the chapter on Israel and Palestine from his perspective as an Egyptian-Arab-Christian is worth the price of the whole book). It is eye-opening, compelling, humbling reading; rich food for thought and for prayer. This memoir offers first person insights into everything from daily life to international politics to how to reach Muslims-from the perspective of someone who understands it from the inside. Quick, engaging read that will reinvigorate your prayers for Muslims and Muslim background believers in Jesus. Thanks for sharing your story so transparently and clearly, Stephen. May God continue to bless your life and ministry! First-person narrative evidently written by Van Til based on interviews/other sources from Atallah). Describes the life of Atallah, an Egyptian Muslim man, focusing on how he came to Christ and into a global ministry to Muslims, then turns to analysis of Islam and issues Muslims face in the 21st century sometimes as illustrated from his own experience and that of others. In some sections the authors are careful to acknowledge diversity in the Muslim world. In others, though, they seem to fall in First-person narrative evidently written by Van Til based on interviews/other sources from Atallah). Describes the life of Atallah, an Egyptian Muslim man, focusing on how he came to Christ and into a global ministry to Muslims, then turns to analysis of Islam and issues Muslims face in the 21st century sometimes as illustrated from his own experience and that of others. In some sections the authors are careful to acknowledge diversity in the Muslim world. In others, though, they seem to fall into the all-too-common trap of generalizing to the whole "Muslim World" from the perspective of someone who grew up among Arabs. Why do Arab men think they can speak for Muslims? Nevertheless, most of his statements seem sound, and the book has the benefit of being clear and readable, which might not have been possible had they authors made greater effort to deal with nuances. There's just enough history and theology to support their statements without getting bogged down and losing the reader. This book is part biography and part an explanation of the beliefs and practices of Islam. There are many helpful suggestions and explanations in the book. 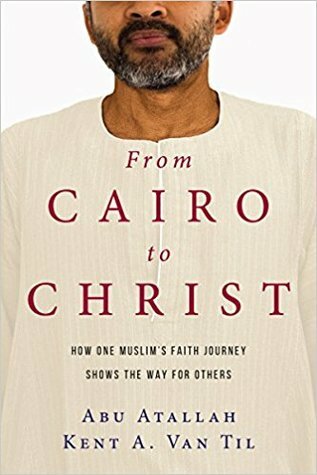 The author gives a good over-view of the situation in Egypt where he grew up and later had to leave the country after becoming a Christian. Atallah f Abu Atallah is the founder and CEO of European Training Centre and a pastor, professor, and missionary with the Evangelical Presbyterian Church. He was born and raised in Egypt, and after his conversion was involved with Campus Crusade at Cairo University. In 1979 he came to the United States, where he attended the Urbana missions conference and heard God’s call to minister to his people.